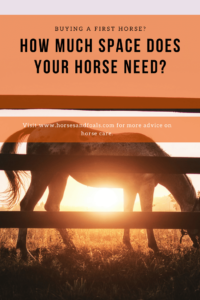 How Much Land Or Space Does Your Horse Need? How much space does a horse need? Can horses do well entirely on pasture? How much pasture do you need to provide enough forage for a horse. In this article we explore the many variables that go into determining how much space is enough space for equines in order to provide a good care. Read on to learn more. 1 How Much Pasture Is Enough? 2 Is Your Pasture Providing Enough Forage? 3 Do Horses Need To Graze Constantly? How Much Pasture Is Enough? Generally speaking, a horse needs between one and two acres of good, well-managed pasture to get enough forage. This is highly variable, though. If your plot of land is mostly weeds or you live in an area that is prone to drought or covered with snow for many months of the year, this will not be the case. If you keep hay available at all times (as you should) and feed regularly, a horse can be happy with a smaller amount of space for exercise. 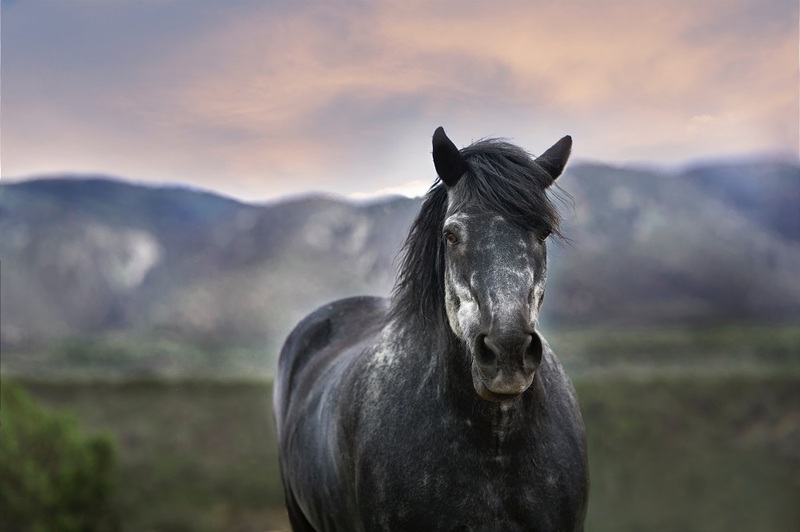 In temperate areas with mild winters, a horse can do very well kept on about five acres of land. Pasture land that provides a healthy mix of natural grasses along with edible trees can satisfy a horse’s needs year round. In arid regions, this will not be the case. You might need as many as forty acres of land to meet the forage needs of a single horse. An acre of land equals 43,560 square feet (210′ X 210′). Naturally, a draft horse needs larger accommodations than a pony, a miniature horse or a small donkey. High strung horses (hot-blooded) need more and richer nutrition than quiet (cold-blood) horses, which are often termed “easy-keepers” because they do not require large amounts of feed and hay to prosper. Donkeys and mules typically do well with more grass and hay and less feed. Also, multiple horses will require less space per horse than a horse alone. 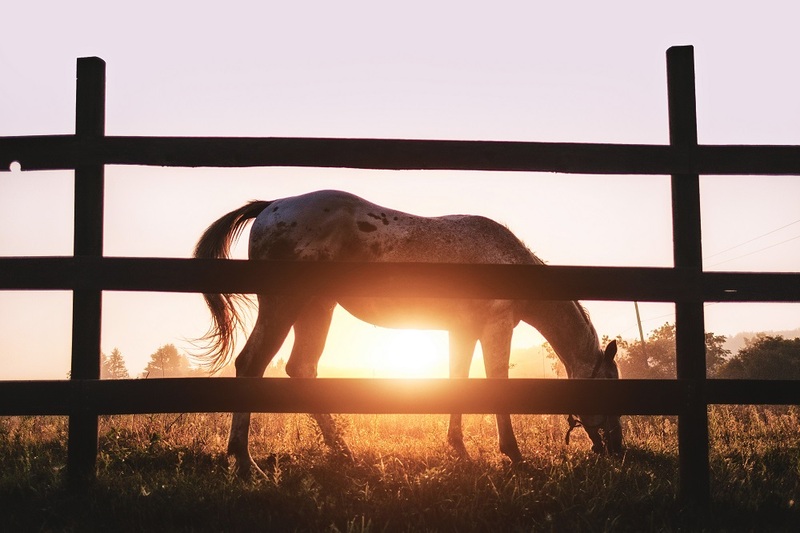 According to Mike Yoder, who is the Extension Assistant Professor at North Carolina State University’s Horse Husbandry Extension, it is wise to provide two acres of land for the first horse and an additional acre for each horse thereafter. 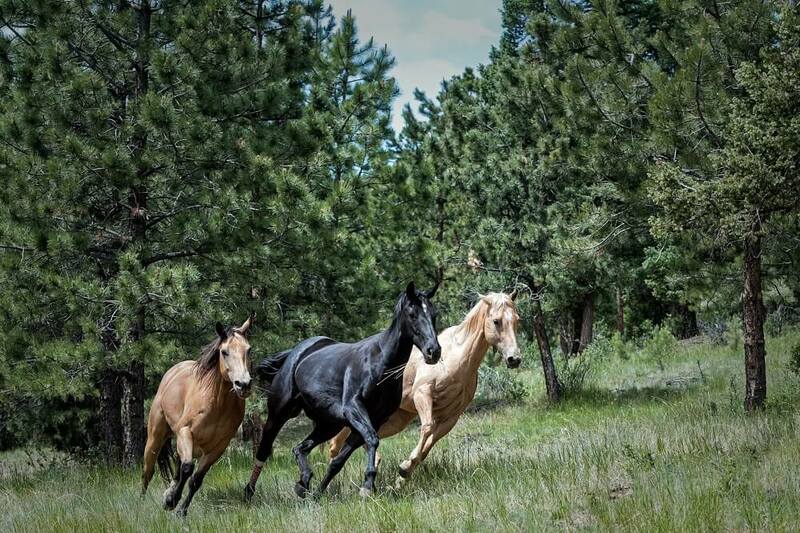 You will need to adjust your feeding and exercise plans accordingly to be sure that all the needs of the horses are met and the pasture does not become overgrazed. All this probably sounds a bit daunting. Surely you have seen horse owners who keep their horses in much less space. This is certainly possible as long as the horse gets plenty of good hay, proper feed, good care and adequate exercise. The minimum space requirement necessary for a horse is a tenth of an acre. This is about 4500 square feet (75′ X 60′). 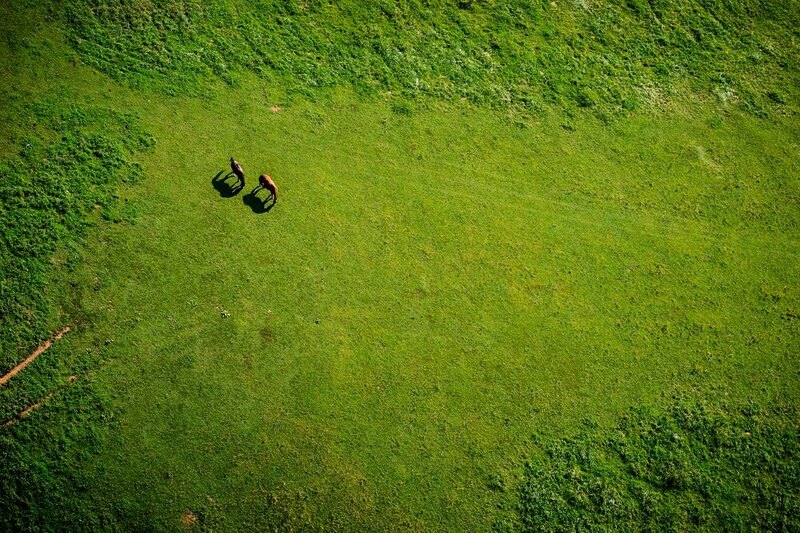 This amount of space provides enough room for the horse to move around freely and get adequate exercise. If your management plan is to provide your horses with free access to good hay, and use your turnout area mainly for exercise, you will be fine with an even smaller area. If a horse has a turnout area of 20′ X 40′ it can get ample exercise. This kind of arrangement is called “dry lot”. You may also hear it referred to as an exercise lot or a stress lot. If you are keeping your horse in a smaller space, it is essential that you keep manure picked up and have a good plan in place for managing its disposal. Good manure management keeps flies, odors and health hazards down. It is also extremely important that you provide fresh water daily and free access to good quality hay. Set up a feeding method that does not allow bullies to hog all the hay and feed. Naturally, more active horses need more food. If you use your horse to work cattle or if you are engaged in showing, competition, jumping, polo or other very energy intensive activities, your horse will need more nutrition than a horse used just for pleasure or as a companion animal. Discuss correct nutrition with your vet and adjust your feeding plan to suit the amount of pasture you are able to provide. Older horses may need different nutrition than younger horses. Due to dental problems, an older horse may not be able to chew grass and hay well enough to obtain proper nutrition. In this case, you need to provide alternate forage, such as beet pulp and extra nutrition in the form of senior feed and/or supplements. Is Your Pasture Providing Enough Forage? Good pasture that is properly grazed should be about 70% edible, vegetative cover. There should not be large expanses of bare ground or weeds. Edible forage should be about eight or ten inches high and should cover about 70% of the pasture. If this does not describe the space you have, you must take steps to supplement appropriately with hay and grain. Reed Edwards of FoxPipe Farm discusses grazing management and the types of grasses and plants that are best in a grazing or hay production pasture. Do Horses Need To Graze Constantly? The amount of time a horse has to graze is not as important as was once thought. It used to be thought that a horse could only meet half its nutritional needs if allowed to graze for twelve hours. According to research conducted at North Carolina State University, horses actually focus and graze more intensely when they have less time, so shorter turnout (or stake-out) times can be very effective in providing equines with needed forage and nutrition. This does not mean that it’s alright for your horse to stand in his stall or dry lot with nothing to eat in between grazing sessions. A horse’s digestive system is designed to be in constant motion. They need to have something to nibble on at all times to maintain proper digestion, so it is absolutely essential that you provide free access to hay or other forage at all time. Use of a hay net is a good idea to slow down eating, prevent waste and make it more interesting for the horse. When determining how much space your horse needs and how much nutrition he can or should receive from pasture, you simply must assess your horse’s specific needs and your own ability to provide for them. Basically, your horse needs a safe space to move around freely, regular exercise, free access to forage and the right amount and type of feed and supplements to support health and well-being. There is no single formula you can use to determine how much space does a horse need. Instead, you must consult with professionals and carefully assess your horse’s attributes and your ability to provide for them when determining how much pasture you need and can provide.